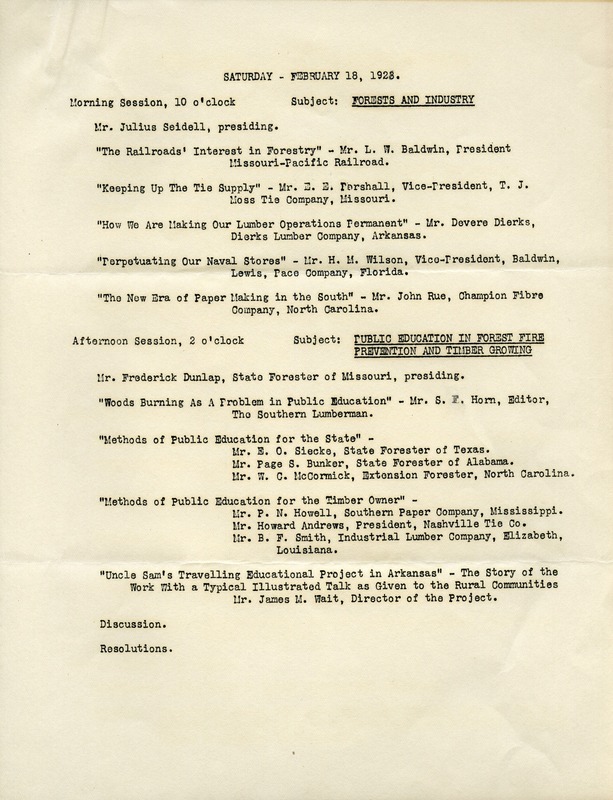 Held in St. Louis, Missouri. Martha Berry one of three speakers at the banquet. 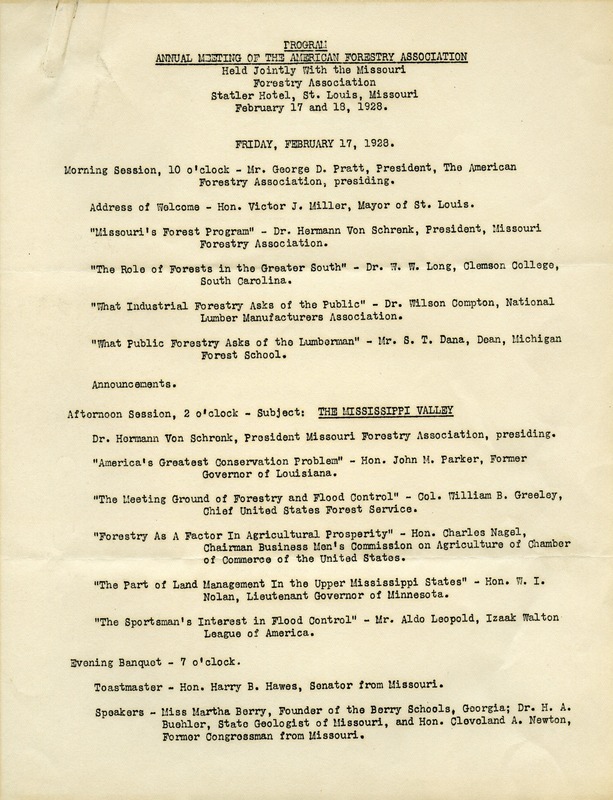 American Forestry Association, “Program of the Annual Meeting of the American Forestry Association.” Martha Berry Digital Archive. Eds. Schlitz, Stephanie A., Sherre Harrington, et al. Mount Berry: Berry College, 2012. accessed April 21, 2019, https://mbda.berry.edu/items/show/7550.